Can you reuse K-Cups? Yes. However, the biggest downside of using a K-Cup twice is weak coffee. In this guide, we will explore some smart alternatives to disposable K-Cups along with some clever ways of reusing them. Our ​reusable K-Cup reviews will help you decide on a few K-Cup alternatives available on the market today. The one drawback of the My K-Cup that is pointed out by some users is the fact that it is made of plastic. Users concerned about the leaching of carcinogens that often occurs when plastics are exposed to high heat repeatedly have expressed concern about this. Additionally, plastic exposed to high heat does eventually become brittle and crack. This can cause concerns about bacterial growth, and naturally this type of unit will eventually need to be replaced. For this reason, a more ecologically friendly and health-conscious version of the reusable K-Cup has been created by Fill N Save in the form of a stainless steel reusable K-Cup. This unit is entirely made of stainless steel with a silicone O ring. This means it is completely lead and BPA free. 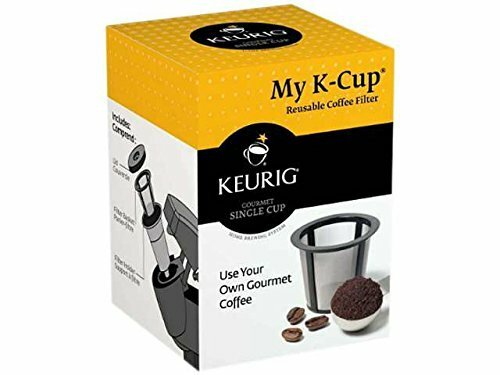 ​It comes complete with a micro screen and a pre-perforated base that is guaranteed to fit most Keurig coffee makers; although, it is not compatible with some units. You should check the sales information before purchasing to make certain that it will work with yours. This unit is significantly more expensive than the plastic unit created by Keurig; however, it is worth noting that stainless steel lasts forever. With proper care, you should never have to replace this unit, only the O-Ring at some point in the future. The My Kap system is a clever device that facilitates K-Cup reuse. 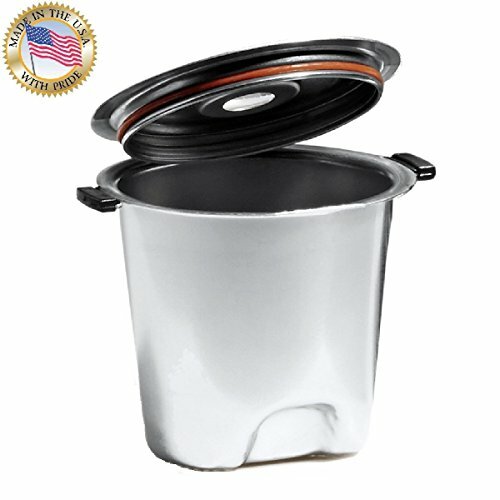 It is a heat resistant, high impact lid that is designed to fit inside of a used K-Cup. To use this system, you would save your disposable K-Cups after use. Take off the plastic lid and wash the K-Cup, then let it dry overnight. When it is dry, you can measure in some of your own coffee and put on the My Kap lid. You can use this contraption just like a regular K-Cup. When you do this, you can reuse each K-Cup about 12 times. One thing you should be careful about is when you place the K-Cup in the machine, you must take care to align the hole that was punched in the bottom during the cup’s initial use with the machine’s needle. You don't want to keep punching more holes in the bottom of the cup for obvious reasons. Another alternative to using disposable K-Cups is to purchase a reusable version. There are several types, but one of the most popular is the My K-Cup. 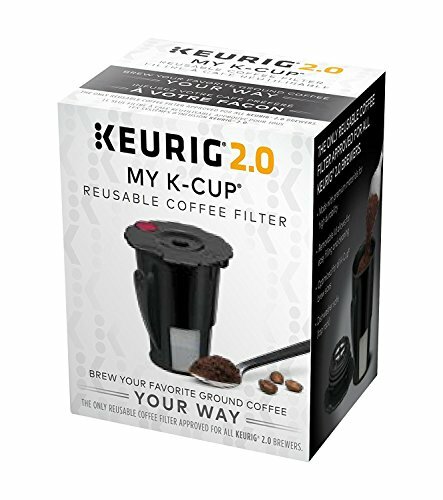 This is a reusable system that is designed and sold by the Keurig company. For this reason, you can be certain that it will fit your Keurig machine and work well with it. 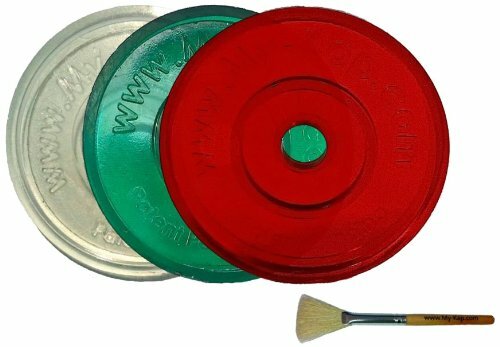 This system is made of heavy duty, high impact plastic that withstands high temperatures. It includes a fine mesh filter. This unit can be used, washed and reused over and over again indefinitely. 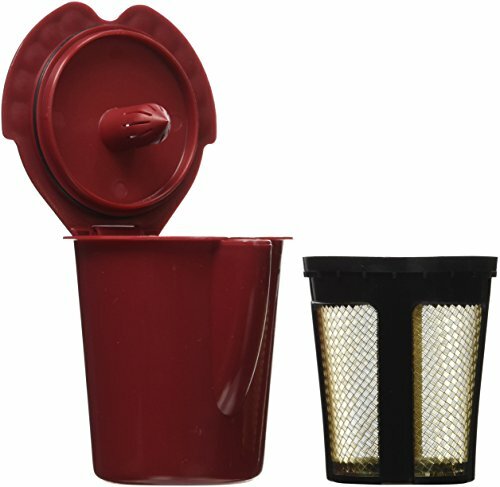 These units are much better than knockoffs produced by other companies because the lid fits very securely, the filter is fine enough mesh to accommodate all types of coffee and the unit seats properly in genuine Keurig coffee makers. 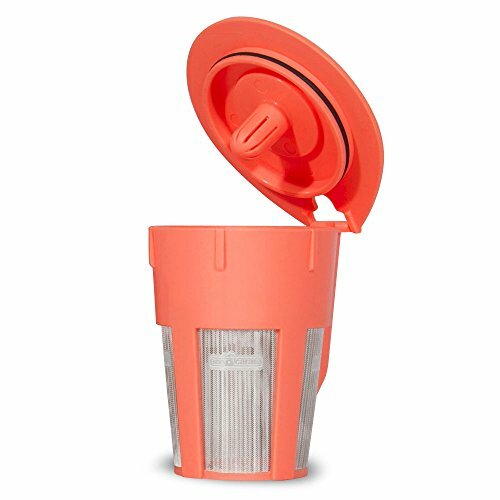 Another interesting product is the Solofill one piece reusable 1 cup coffee filter. While this product can do the job, it cannot stand on its own so it must be balanced precariously while filling. ​While some people say that they simply use the same K-Cup more than once and like the coffee just fine, most reviews of this nature are followed by multiple rebuttals from people saying that they tried that and find the coffee from the second brewing to be weak or absolutely undrinkable. For this reason, simply reusing the same K-Cup more than once is not advisable. Luckily, there are solutions on the market that will allow you to either reuse your K-Cups (with new coffee) or simply not buy K-Cups and still enjoy absolutely fresh coffee brewed by the cup. Of course, even if you do invest in a reusable K-Cup coffee filter, you may still wish to use disposable K-Cups at the office or in some other setting. If you are concerned about the environmental impact of these cups (and well you should be) you'll be happy to know that there are quite a few creative uses for them. Give kids free rein to play with K-Cups. Simply wash the used K-Cups and let your kids enjoy them for activities from stacking to building to pouring sand and water. They are also excellent for arts & crafts. Plug the hole in the bottom of used K-Cups with hot glue and use the cups to create mini-popsicles or large ice “cubes“. Use K-Cups as mini treat holders at children's parties. You can decorate them for any occasion and fill with small candies, popcorn and other goodies. Make party favors by decorating the outside of K-Cups with stickers and adding artificial flowers or other decorative items. Use K-Cups to organize small items such as thumbtacks, paperclips, ear rings, buttons and the like. Rinse and save your K-Cups to start seedlings for your garden. There are many uses for used coffee grounds here. Saving Money & Resources Is Smart! Don't let anyone make you feel guilty or silly about your environmental concerns or your monetary concerns about the use of K-Cups. Remember that according to the Mother Nature Network, in the year 2013 alone the Green Mountain company produced enough K-Cups to go around the equator 10 1/2 million times if set side-by-side. This is a huge amount of plastic that ends up tossed into landfills, along roadsides and into our waterways and the ocean. Your concern and decision to refrain from adding to this clutter will make a difference. You will not only reduce the amount of plastic litter you generate, you will also be setting a good example for others. Furthermore, every dollar you spend is a “vote with your pocketbook”. Your purchases inform manufacturers as to what products are popular. Also remember that convenience invariably comes at a price, and the use of K-Cups poses a significant expense. When you choose to invest in a reusable filter for your Keurig coffee maker, you are making a wise financial decision. By going to just a little more trouble to simply rinse a filter and measure coffee, you can save yourself literally hundreds of dollars a year. That's money that you can surely put to very good use in many other ways. The Keurig coffee maker is an incredibly convenient way to enjoy a single cup of absolutely fresh coffee of any flavor you choose, any time of a day. 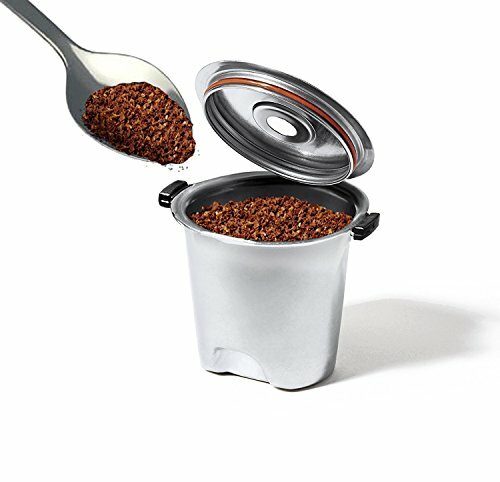 You can make a single cup of gourmet coffee in less than a minute using this fabulous device. Unfortunately, there are drawbacks to using the Keurig coffee maker. However, according to Business Insider magazine, brewing your coffee a cup at a time using disposable K-Cups and K-Carafe packs can cost you five times as much as brewing coffee by the pot. And all disposable products are problematic in terms of smart use of resources and wise care of the environment. The fact that K-Cups are not recyclable only compounds this problem. What can you do to resolve the monetary and environmental challenges posed by handy, convenient K-Cups? Invest in a reusable K-Cup!